← Sunday with the Shorties! 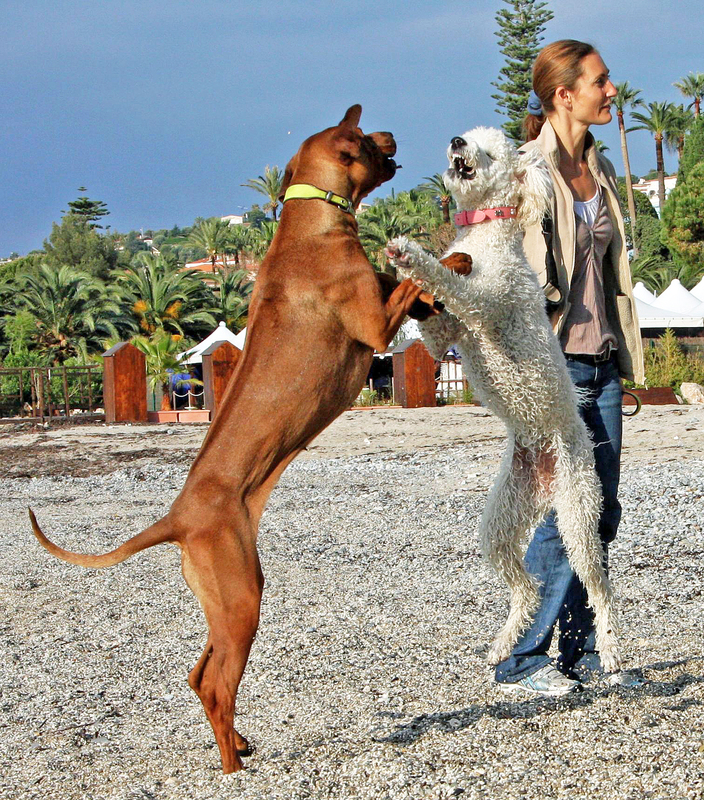 This entry was posted in Rhodesian Ridgeback, Wordless Wednesday and tagged Dog walks on the French Riviera, Rhodesian Ridgeback, Standard Poodle, Wordless Wednesday. Bookmark the permalink. Mmm this was today? So cold here now. You guys are lucky dancing the tango in the sun! Looks like a pair of dancing dogs! Zola is beautiful! Sunstroke? Piana coladas? Or just an old fashion paaaartyyyyy?